Vienna based jewelry designer Nicole Ponesch, started creating jewelry during her 11 year stay in London and has been designing and making jewelry for over 10 years now. 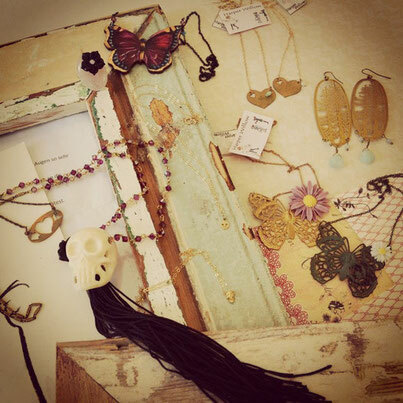 Inspired by fashion, vintage and travelling, the jewelry she is creating is modern, trendy and elegant. Nicole's designs are aimed at women who are independent and don't follow a certain trend. 14c gold, sterling silver, brass, gemstones, Swarovski beads, wood, fabric and one off pieces like brooches, vintage beads found at all kind of markets. All pieces are handmade by Nicole and are either created in small editions or as one-of-a-kind pieces. Nicole wants to create unique jewelry, eye catchers, statement pieces and conversation starters.